KSEB , The Kerala State Electricity board, established in 1957, going hi-tech with introducing more IT based services for their customers. 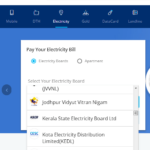 Earlier, they introduced the online portal system for customers to view and pay electricity bills and was a huge success. Now they are introducing more IT enabled services for customers for becoming more customer – friendly. Customer Care using whatsapp ! Yes , The Electricity Board of our own Kerala state is in the process of transformation from an old man to a newgen youth. They are planning to include a whatsapp number to their customer care service. Users can send their complaints to KSEB whatsapp number instead of calling Kerala State Electricity board customer care toll free number. 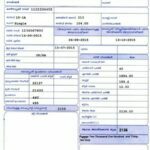 Like cash desposit machines of banks, Kerala State Electricity Board is planning to install cash deposit machines all over the state. Customers can pay their electricity bills at any time using this machine. As a trial, KSEB has already placed some machines in major cities of Kerala like Thiruvananthapuram,Kollam,Ernakulam and Thrissur. 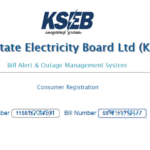 KSEB is planning to introduce SMS alerts for customers, if there is any disruption in power supply. This is a helpful thing for people to know what is the cause of the power supply disruption.